March's LEP challenge was to write a letter to your favourite superhero, telling him/her about snail mail, and asking him/her to be your penpal. Of LEP's almost 180 members, only 1 other member (other than myself, Super Squirrel) participated in this month's challenge. C'mon superheroes, that isn't very superhero of you! How can you not want to partake in such fun?! Well, I suppose your loss is our gain. With The Flash and The Incredible Hulk as penpals, I guess we're the only LEP Members who received the top secret mail invites to the End of the World Super Party. We rubbed shoulders with Captain America, exchanged numbers with Nightcrawler, did shots with Gambit—you should have been there, it was AWESOME! Seriously though: since LEP is a new initiative and we're learning as we go along, it helps to know what you guys think about the swaps and the challenges. Are you enjoying them? Is it activity that you want to see and participate in? Did you not participate in this month's challenge because you didn't like it or because you didn't have time? Do you have ideas or suggestions for improvement? We really enjoy the challenges, but if LEP members don't find value in them or don't want to participate, then perhaps it would be better for us to re-route our energy to other activity. But we need you to talk to us. Any feedback you provide goes towards improving LEP. We've said it before and we'll continue saying it until the flying cows come home: Let us know what you think! UPDATED: Thanks to everyone who has left feedback about the challenges so far. It's much appreciated! It's difficult to please everyone with the challenges. Some people sent us feedback that we should incorporate the superhero theme more; others are less keen about the superhero theme. But we're trying to achieve a good balance between "regular" challenges and superhero-themed ones so rest assured, there are less superhero-y challenges coming up. That being said, how you define "superhero" is entirely up to you. 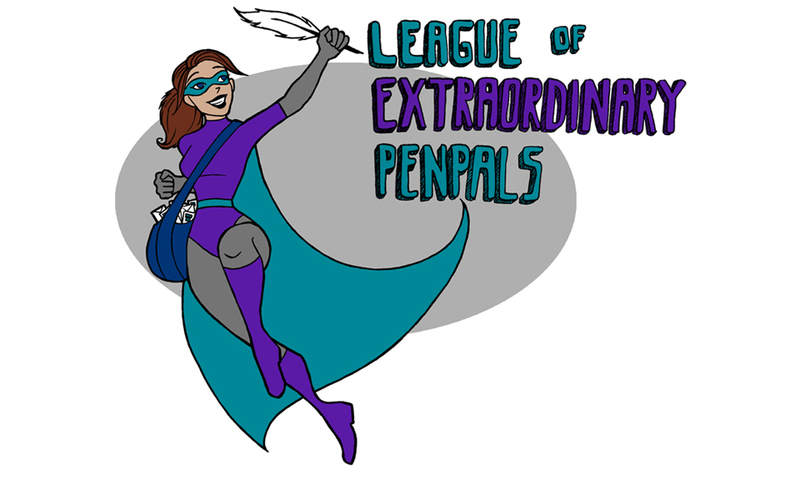 We use the term superhero because we're a superhero-themed penpal club. But heroism comes in many guises and forms. It's not simply spandex and attacks by radioactive spiders. In other words, a superhero isn't just someone from a comic book who wears spandex and fights crime. If you're not a fan of comic book superheroes, then adapt the term to something that fits with your personality and likes. For example, your hero might be someone who knits and volunteers and adopts cats from the animal shelter. So when that month's challenge/swap asks you to talk about a superhero, write about a hero that works for you. We want you to be creative and inspired, so don't feel restricted by the standard definition of the word "superhero"; challenge the norm and redefine superheroism for your purposes! In the meantime, please keep the feedback coming! I enjoyed the LEP swap in February because I'm interested in finding new penpals. Unfortunately, a lack of $$ prevented me from participating in the March swap (postage in Canada for anything not FLAT is crazy!) but I look forward to participating in more penpal-themed swaps. I'm sorry you didn't get the response you were expecting from the challenge - I'm unlikely to participate in the more "super-hero themed" challenges because I'm not into super-heroes... the way some people aren't into zombies or romance novels! Nothing wrong with it - just not my cup of tea! But judging from others' creativity in coming up with names/stories, I'm a small minority! Take care and have a great day! I participated in this month's swap because the ideas just flowed. I enjoyed picking out things to send (even though it was geared towards a super hero theme)and I thought I was creative. However, I didn't participate in the mail challenge because personally, I'm not into the whole super hero thing. Heck, I think I even forgot my correct superhero name when I signed my letter for the swap. I haven't participated thus far because I was still reeling from LetterMo & moving & starting a business, haha! It looks like my time we be freer for April and I plan on joining in the fun. =) So for me it's been a time issue. Also, I personally like mail art & craft stuff a lot rather than creative writing, if that helps at all. ;) Maybe a poll for the type of swap to have before each newsletter? That way the postcard lovers, the mail art fanatics, the long-letter-writers, the detailed craft people, and the generous gift-givers all get a chance to shine? Can I just say that this whole post...it's awesome. Honestly for me this is all a bit too superhero-ish ... I like the idea of doing swaps but I'm not into comics nor superheros of any kind. Maybe some people feel the same? I like superheroes, but to be honest, I forgot! (Well I am 52 now, so I guess the little grey cells are fading!) I'm with Athanasia; it was a bit one-sided. 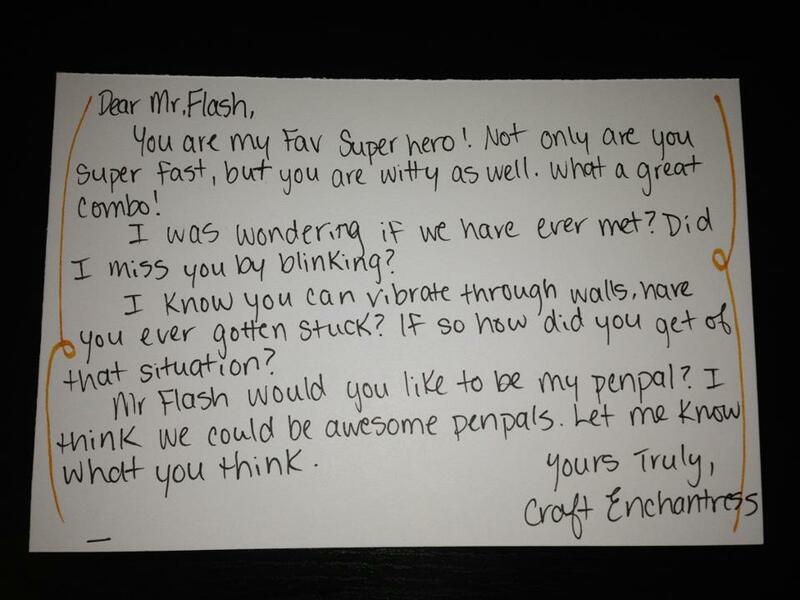 Perhaps for another swap, we could be partnered up with someone random and write about a superhero or literary, or movie or TV character we'd like to meet. It could lead to the pair being penpals, or just a fun one-off. So far, I've very much enjoyed the swaps and challenges. This is what I was looking for when I joined the LEP, something more than a newletter to read once a month. I wanted to involve myself in something new and participate. I like the superheroe angle, I find it's something fun (and that is coming from a french girl who only knows Batman and Superman- the 1980ies movies). This League triggered my curiosity towards comics, it's an opportunity for me to discover something new and eventhough I'll probably not like it all (I don't think I'm a superheroe fan at heart) I'm sure I'll find many things of interest in this new area. The swaps were a lot of fun too. I've gotten to know two great girls I'm sure I'll get along well with in February and it was a great challenge to go around shops looking for items of interest for this month's swap. I hope my partner enjoyed my parcel (perhaps she'll send a picture of it?). So, from my side, I'm very much happy the way things are and with what is proposed. My only minus is that I'm not sure I'll be able to participate in both the swap and the challenge each month. Swaps such as this month's ask for money, challenges for time and inspiration. Perhaps people just don't know which way to go with the superhero angle tough I'm sure all activities won't be superheroe oriented all the time (that would ask for a lot of imagination) Even penpalling activities are somewhat limited in number after a while. Besides activities ask for participants. If people would rather have articles, giveaways and printables, then having activities represent 50% of the newsletter will be pointless in the long run. But I find it a bit too early to decide for that, after all new concepts need a minimum of time to get used to. I want to finish this coment with a big thank you to Julie and Laura for their work. I've noticed that the swaps and challenge have tried so far to please the majority of people : the february challenge was mail art oriented , the february swap offered the opportunity to find new penpals, the march challenge was creative writing oriented and the swap was goodies oriented. Keep the good work girls ! I agree with so much of what you said here! Love the idea of public notes to fellow superheroes! Honestly, I thought this was a great challenge! 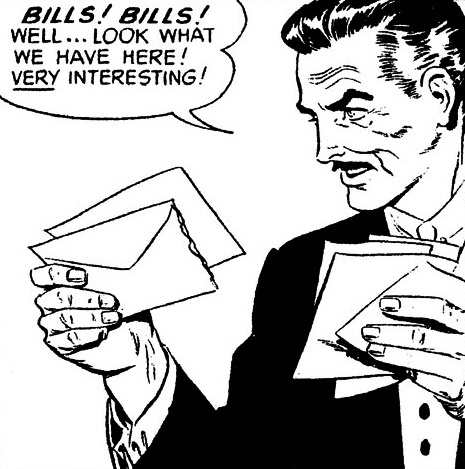 I, too, am still catching with lettermo and other bits of mail. (If you are interested in collecting this at a later date I might still write one.) I am SO jealous that you took shots with Gambit!! I, for one, LOVE the superhero theme. It was a huge draw for me. I love the imaginative aspects of this group and all of the possibilities that can be built around a group with a particular theme. In Feb., I also was just searching for a cool mail group to get involved with and this fit the bill. Echoing, Musama, thanks for all you both are doing with this group and for working so hard to make it a fit for all of us that were drawn to your creation! Yay LEP! I will tell the truth: I'm not into superheroes at all. I joined the LEP mainly because I want to help Julie live of her passion for snail mail. And also because I love snail mail myself. But definitely not for the superhero thing. So that's why I don't take part in the challenge. I only read the LEP monthly issues. I joined because I like to meet others in the mail, share out life stories and exchange some mail art. I do understand the superhero theme of the group but did not think it would be so literal. I would enjoy activities that focus on connecting with like minded folks who enjoy to sit down a bit and pen a note as a reprieve from the hectic pace of life.